This is a very touching movie. 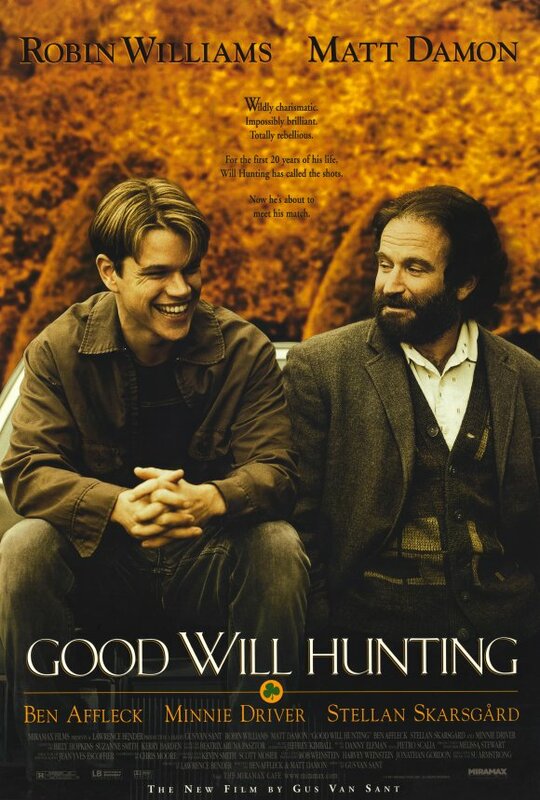 I have watched it quite a few times on VHS when I was roughly same age as Will Hunting. Always secretly hoping that I was a similar genius in the rough, waiting for some professor to discover me. Obviously that never happened, and watching it again (this time on an online streaming service instead) it felt good to be reconnected with the feeling of youthful hope and hopeful youth. The whole cast really does a great job. Robin Williams is a true genius, so that is a given. Matt Damon and Ben Affleck wrote this movie together, and if I am not mistaken this is the movie that really kick-started their career. Their performance in this movie is also top notch. Despite the fact that you sort of already know what is going to happen in the movie, the plot is still good and relevant in a way. I still enjoy the story quite a lot. Watch this one for fun and entertainment with a bit of class, food for though and stunning performance and good writing.